As budget cuts, inflation and increases in the number of families who depend on local Head Start Programs continue to rise, administrators continue to look for new ways to cut costs and reduce supply waste in order to keep doors open and services available to the children who need them. Millions of dollars are wasted on inefficient supply purchasing of office and janitorial supplies at early education programs each year. When administrators are able to better manage Head Start purchases they will effectively reduce annual costs and be able to invest those savings into other vital parts of the program where they are needed. It all boils down to making smart purchases to lower costs for Head Start budgets, reduce supply waste and keep better track of the supplies and items that are needed. The best way to do this is to identify the five primary areas where Head Start Programs need the most education and support. This portion of the article will deal with those five areas. When Head Start Programs are able to step back, identify their needs and areas where waste or inefficient purchasing is most likely to occur, they can then automate purchases for supplies of the things that they use on a regular basis. For example, toilet paper, paper towels, tissues, copy paper, printer cartridges, pens, pencils, school supplies for the classrooms and much more. This is just the tip of the iceberg, which is why it is easy to see that without an effective way to manage Head Start purchases, it could quickly get out of hand. SupplySource Plus helps Head Start Programs to organize the purchase, stocking and inventory management of the supplies and services that are required to help them run effectively and efficiently. Our team will work with you to identify which of the over 2,000 suppliers in our network can meet your needs and help lower costs for Head Start. Once your needs are identified, we can set up an automatic purchase program to further help you manage Head Start purchases and lower your annual budget. If you are purchasing all of your supplies for Head Start Programs at the local big box store or office supply store, chances are high that you aren’t getting the best prices for the things you buy most. Having the ability to establish a relationship with a vendor that works in the supply chain itself, rather than through a retailer, can help you to lower costs for Head Start and better manage Head Start purchases. Establishing a relationship with a vendor helps you to keep costs down and be able to use the savings for other areas of your program. A relationship will give you the ability to negotiate or ask vendors to help you find a better, lower-cost solution to big-ticket items when they are needed, helping you to save on those purchases as well. SupplySource Plus is a free service to Head Start programs that will set you up with accounts to work with suppliers in our network to get you started. Our team will help you to build a relationship with those suppliers that you will be able to trade on whenever you need to make a purchase. While we will set up the initial contact to help give you a larger purchasing power on a national scale, you will most likely make your purchases directly from the supplier. However, if you prefer, you can go through SupplySource Plus to make your orders. 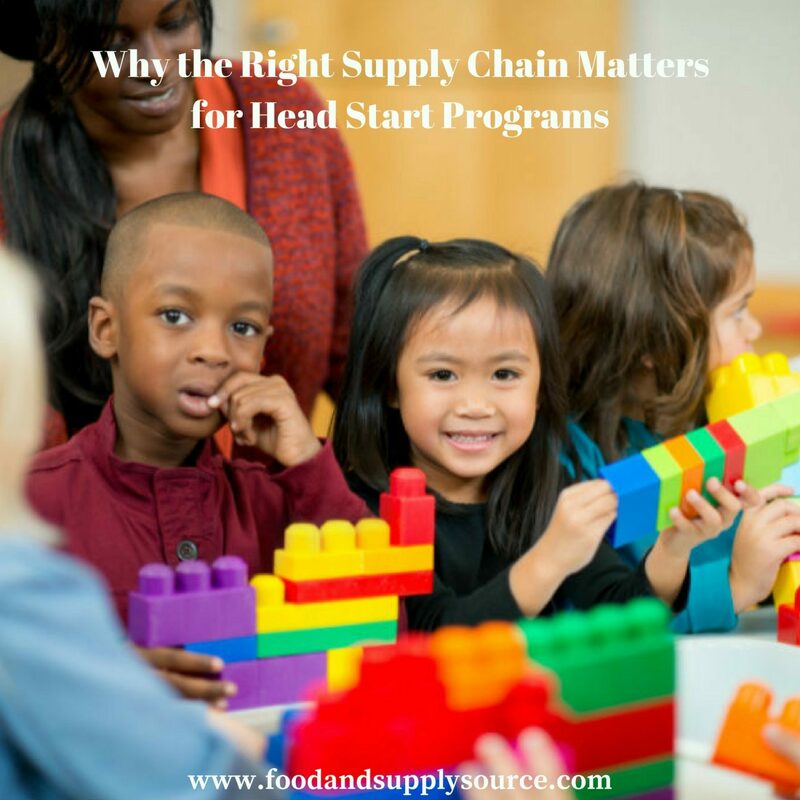 One of the ways that Head Start Programs can reduce supply waste is by using supply chain data to better determine how much product is needed and when. This will lead to a decrease in loss used to wasted, lost or even expired supplies. While not all supplies expire, the ones that do will end up costing double to replace, something that most budgets cannot afford. The supply costs for Head Start Programs can be as much as 40 percent of the total operating cost. Being able to reduce that amount significantly over the course of a year and finding new ways to better plan and control purchases of goods and services can reduce costs overall by a huge margin. SupplySource Plus works as a concierge procurement solution to help human service organizations like Head Start programs to lower costs and run more efficiently. We work with a network of pre-vetted suppliers to give your organization the tools you need to get the best prices available and better manage Head Start purchases. We also give you tools to help track and monitor your inventory of products, along with pricing and order information to enhance your tracking ability to lower costs for Head Start and reduce supply waste. Sometimes organizations understand that they are wasting supplies, making bad purchasing decisions and are mismanaging their budget. They do a professional analysis of their purchasing and inventory process and make effective changes. Unfortunately, they don’t always follow through and continue to monitor and provide analysis of their practices to ensure that they are staying on track or to determine whether or not increase cost savings could be possible. Head Start Programs that can continue to monitor the supply industry costs, as well as their own purchasing habits, will much more effectively manage Head Start purchases and lower costs overall. SupplySource Plus will help get your Head Start Programs in shape and on target, reduce supply waste, manage Head Start purchases and lower costs for Head Start supplies through smart purchasing, cost analysis and improved spending habits. SupplySource Plus doesn’t just stop at our initial analysis, we provide you with the free tools that you need to stay on top of your purchasing process, ensuring that you get the supplies you need, when you need them and at the best price possible. This continued monitoring and analysis of your supply purchasing will ensure that you don’t end up wasting money or supplies again in the future. It can be difficult for Head Start Programs administrators to know who to turn to for advice and support when it comes to lowering costs, reducing supply waste and more effectively managing supply and service purchases. Being able to contact a professional resource that can help you save money on your annual budget, while helping you to make smarter purchasing decisions, is worth its weight in gold. SupplySource Plus can help Head Start Programs to save between 10-35 percent on their annual food and supply budget. We begin with a review of your operational costs for office and janitorial supplies, as well as administrative services, such as background verifications, accounting and more. Our team will provide advice on the level of savings that you can expect to achieve by using the suppliers and services available in the SupplySource Plus network of vendors. We can help with automatic purchases, one-time purchases and ongoing management of your supplies and inventory. Get started today on the road to more efficient and effective practices that will help you manage Head Start purchases, lower your costs and reduce supply waste. Call SupplySource Plus toll-free at 1-866-248-4520 or use our online form to request addition information. At SupplySource Plus, we’re here to help you make your human services program be the best that it can be!